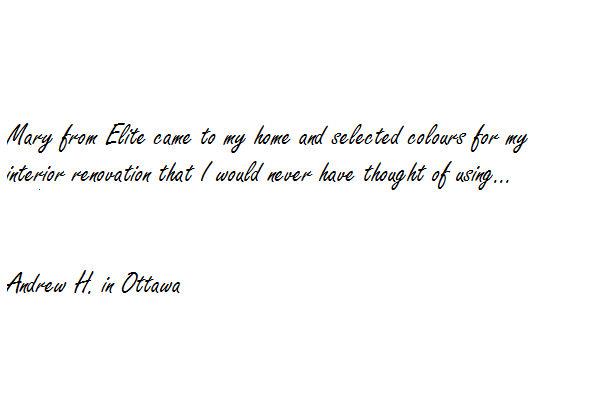 Mary from Elite came to my home and selected colours for my interior renovation that I would never have thought of using. I am thrilled by her choices, the quality of the work and customer service that I received. I would recommend Elite to everyone!